It feels weird calling this icecream when it doesn’t involve any cream. 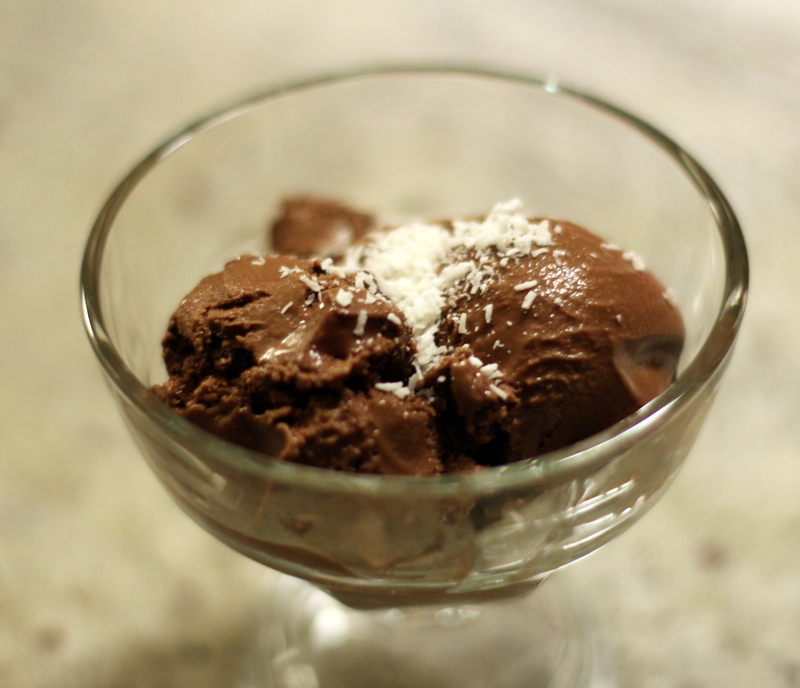 It’s more like Chocolate and Coconut frozen coconut milk dessert with chunks of chocolate and coconut. But that doesn’t exactly roll off the tongue now does it? The desire to make icecream, and the subsequent creation of this dish of joy arose from the weather suddenly turning super warm here in Northern California. Like 30 degrees plus. For a Brit that is super warm indeed. It made me concerned for what to expect from summer, as it was only late April…. but I have been informed that it shouldn’t be like that all the time. I have made this recipe both with and without the chunks, so whether you decide to add them is entirely personal preference. Also I have made it using both regular and special dark cocoa powder, the latter making for a more intensely chocolate-y experience, not bitter, but a really strong hit of chocolate. Again, it is probably personal preference as to what you like best. Add the sugars, cocoa powder, vanilla, and coconut milk into a large bowl, and whisk together thoroughly with a hand mixer. Place in the refridgerator to chill for 2 hours, or overnight. 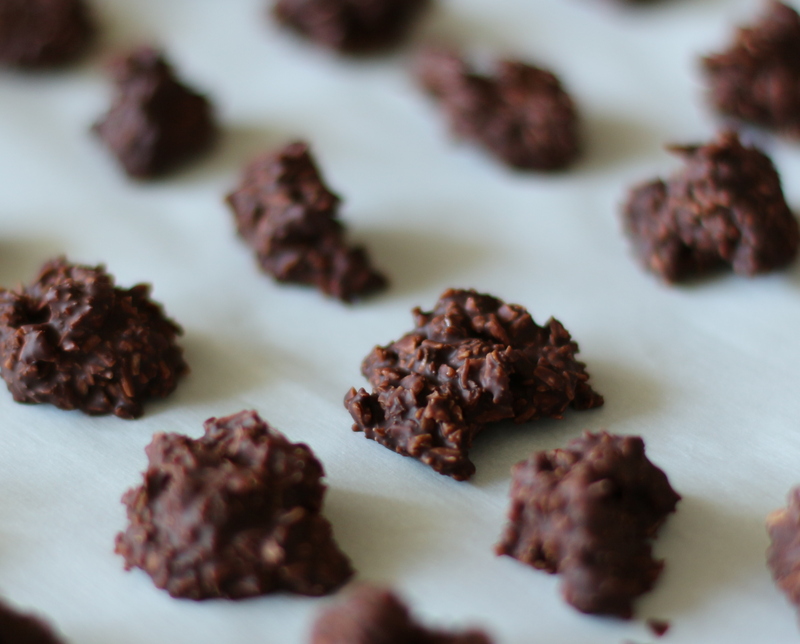 Melt the chocolate chips over a bain marie (or zap them intermittently in a microwave – I won’t tell if you don’t), then add the coconut. If the mixture is still quite loose, add more coconut. It wants to be reasonably stiff, but so that all the coconut is covered. Form small balls of the coconut mixture, penny-sized is probably good (remember that they will end up pretty solid in the icecream and you don’t want to break a tooth! ), and place on non-stick paper on a tray. Place in the refridgerator to chill. Add the chilled coconut milk mixture, and run the machine as per instructions. Keep an eye on it intermittently, and when it gets to the stage where it has partially frozen, add the chocolate/coconut chunks, then continue to freeze until done, and transfer to a freezer-safe box. You will probably need to then place the frozen mixture into the freezer to fully freeze. I served it with a sprinkling of coconut on top. It’s icecream, but not as heavy. 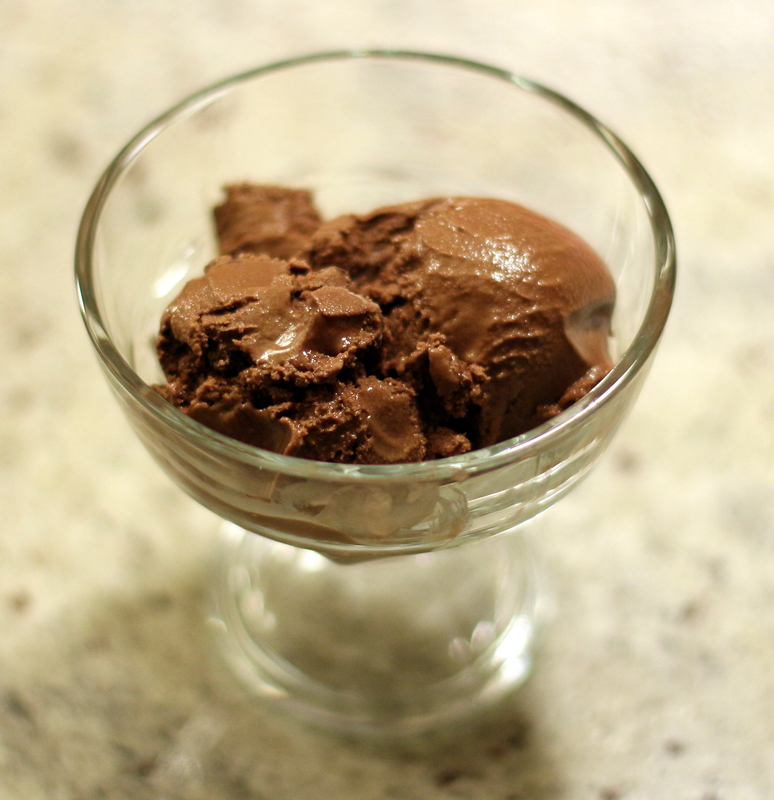 Just what you need when the weather is hot, and heavy cream-based ice cream is too much. I see a whole lot of sorbet in my future this summer! Gluten free!! What’s the texture like? I made chai coconut icecream and it came out more like sorbet. It was a little granular. It’s actually pretty much like icecream. I made coconut sorbet before and that was fairly granular, but this is pretty creamy, just not as heavy as cream-based icecream.